Doughnuts come in all shapes and sizes. Donuts are the perfect way to treat yourself on a lazy weekend, or to indulge in a baking adventure. Store-bought doughnuts are great, but homemade Donuts are even better. In bowl add sugar,dry yeast,water,salt and milk and mix all together to combine. Now add egg and beat well. Then add soft butter and beat well again,till all of them mix well together. Now add all purpose flour, mix it well make in to a dough,the dough should be slightly sticky(like pizza dough),and knead dough for 5 minutes until the dough is smooth but elastic. Cover with a cloth and let it rest for bout 1/2 hour,until dough doubles in volume. after 30 minutes, knead dough again for 5 minutes, and rest for another for 30 minutes. On a floured surface, roll the dough out until it's about 1/2 inch thick. 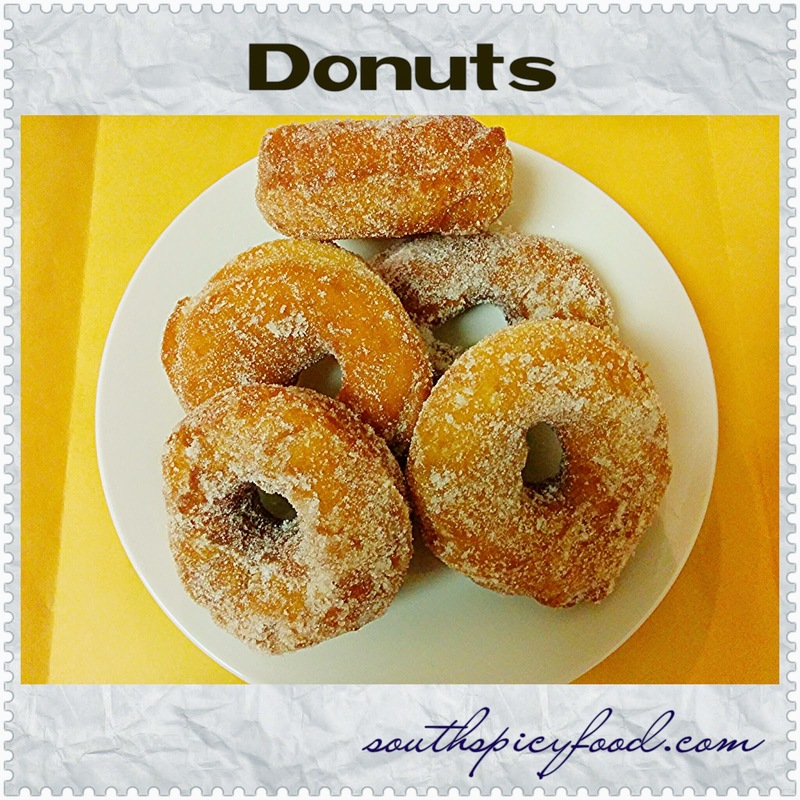 Cut with a floured doughnut cutter, or cut into doughnut shapes with any circular cutters or lids. Use the smallest round cutter to cut holes in the center of each rounds. Transfer in to the tray, Let the doughnuts rise again until double their size, about 30 minutes to rise. Heat the oil in a deep fryer or skillet,once the oil hot reduce the flame to medium(for right temperature, heat the oil up on a high flame for five minutes, and then gently reduce ) . Turn the doughnuts over when they float up to the surface. Fry evenly on both sides until golden brown. Remove and place on paper towels.Transfer donuts on to a tray and sprinkle some casting sugar along with cinnamon on it,when donuts are hot. 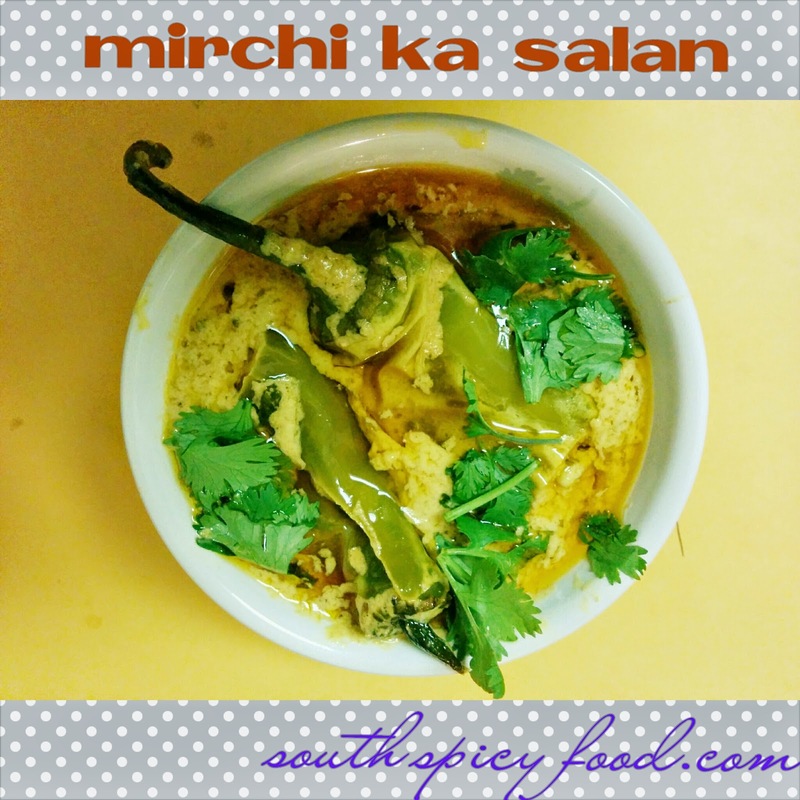 Mirchi ka salan a popular chili,sesame,coconut and peanut curry of Hyderabad. It accompanies Hyderabadi biryani.The dish contains green chillies, peanuts, till seeds, dry coconut, cumin seeds,ginger and garlic paste, turmeric powder, bay leaf and thick tamarind juice. 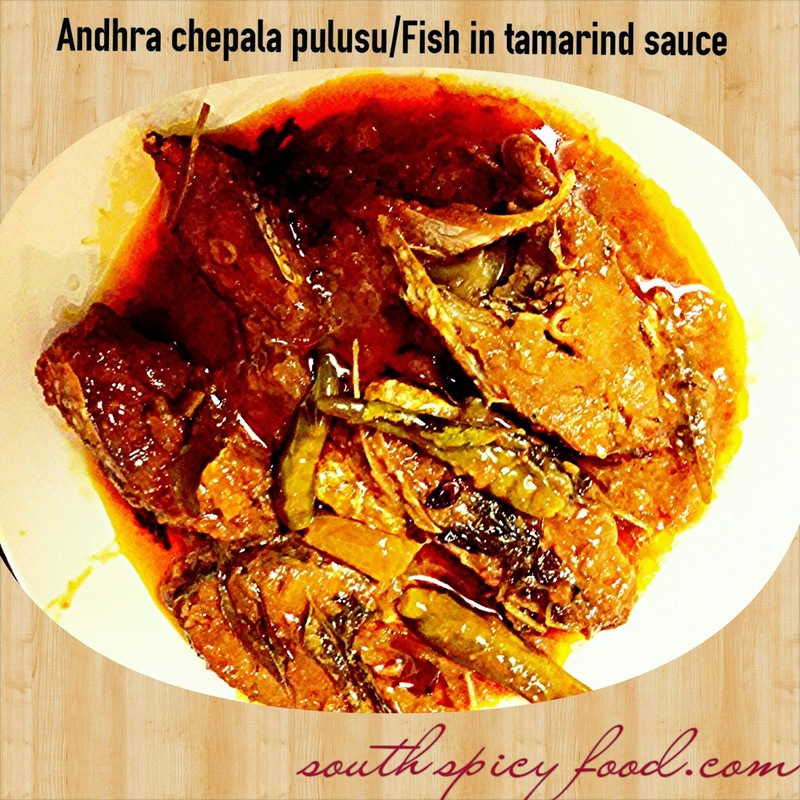 Mirchi ka Salan is a traditional Hyderabadi dish prepared in weddings and special occasions. It is a spicy dish served with rice,pulav,biryani or chapati. Use peppers which are very mild,clean,dry them and slit them vertically .Remove the seeds from the peppers, will make children can also eat. Heat 1 tbsp oil in a pan and fry chillies on a medium flame for about 1 or 2 mins, until they look soft and golden color. Drain them and set aside on paper towels. In the same pan that we fried peppers, add one more tbsp of oil, when oil is heated add mustard seeds, when mustard seeds splutters add cumin seeds,green chilli,red chillies and sliced onions, fry till they are golden colour. When the mixture is a bit thicker, add the jaggery, chopped coriander and fried pepper,cook on low flame with closed lid for another 5 to 7 mins. 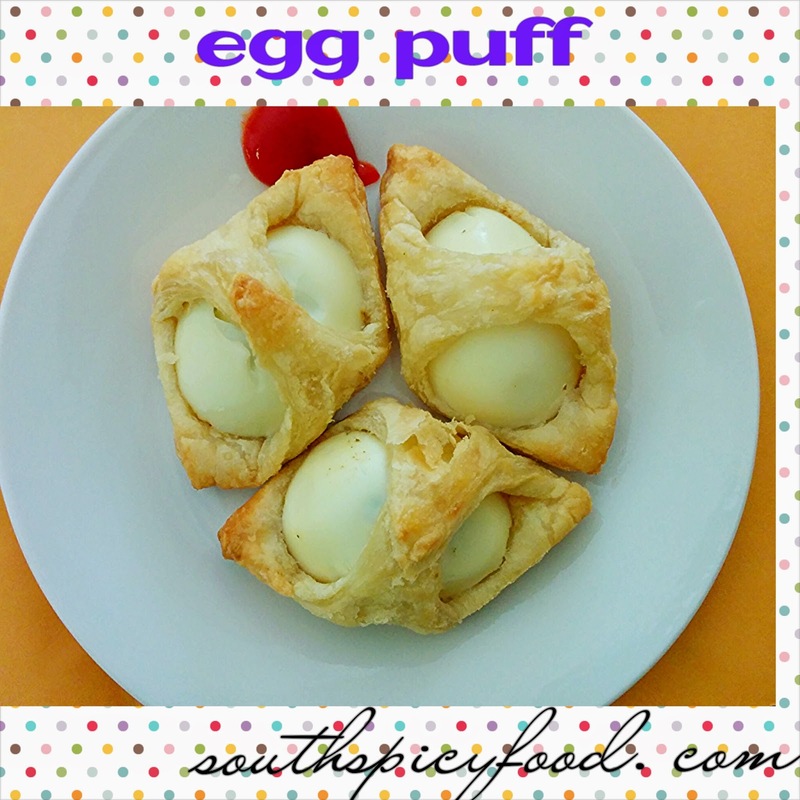 Egg puff is popular puff pastry snack.Egg puffs are a kind of popover made in various countries.Perfect egg puffs are crunchy on the outside, soft and airy on the inside. these ones....are just like cakes, soft all the way.Puff Pastry sheets are light, tender pastry that "puffs" into dozens of flaky, golden layers. Pre-rolled and ready to use and you can buy this sheets in wlamart,target or any grocery stores. Remove the puff pastries from the freezer half hour prior to preparation. 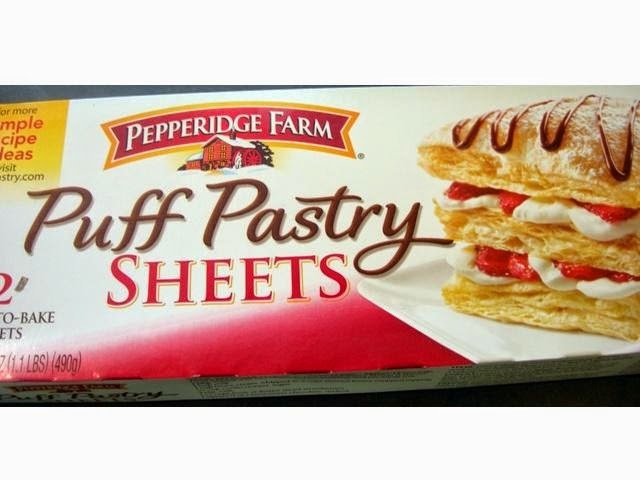 Thaw the puff pastry sheets as instructed in the package.Here i used pepperidge farm puff pastry sheets. 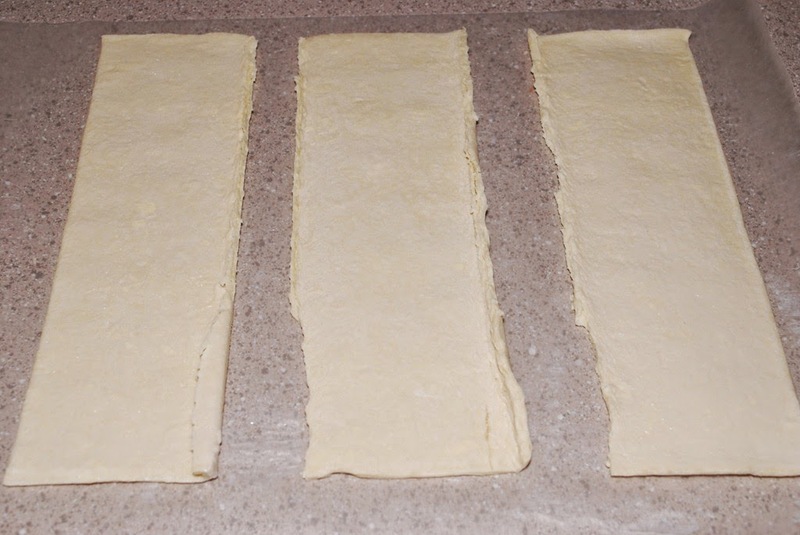 Each packet has 2 puff pastry sheets.Each sheet you can cut into 3 long sheets(as shown in the second image).again each long sheet,you can cut into 4 rectangular sheets.each rectangular sheets fits for one half egg. You can make 12 puffs from each sheet. Take a rectangular strip of rolled out puff pasty sheet or other shapes depending on your use. 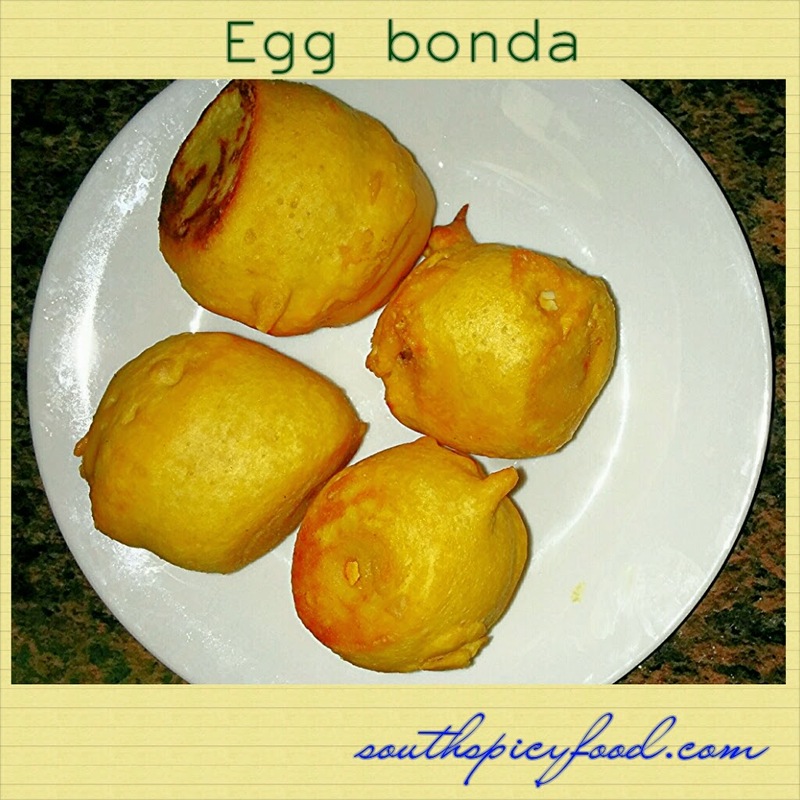 Take boiled eggs cut into half,sprinkle pepper powder, chat masala and very little salt or what ever you needed. Take puff pastry sheet put the sprinkled egg on top and seal off the edges. The puff pastry is usually sticky so you wouldn't need anything else to seal it up. Repeat the procedure for all the pastries and arrange on an oil greased baking tray. Bake for 10min at 450 degrees.once it is done serve with sauce. First boil the eggs and let it cool.Then remove the shells from eggs. Take a bowl add besan, red chilli powder,salt,all purpose flour and baking soda and make thick paste by adding little by little water, without forming any lumps. Make vertical slits on the egg before frying them and fill with the garam masala powder mixed with little amount of salt for extra taste. Take a kadai and heat oil. Heat oil to fry.Once the oil is hot and carefully dip eggs one by one into the batter , coat the egg all around with batter and fry into hot oil till they are golden brown and crispy on out side. summers and mangoes go together for us. so whenever the indian summers arrive mangoes will also start.I love making mangoes juice because mangoes are my favorite fruit. since i like the original flavor of mangoes, i am not adding any other ingredients in this mango juice. Fresh Ripe Mango - 2 big( Peel the skin and cut into pieces. Peel mango and chop into pieces. 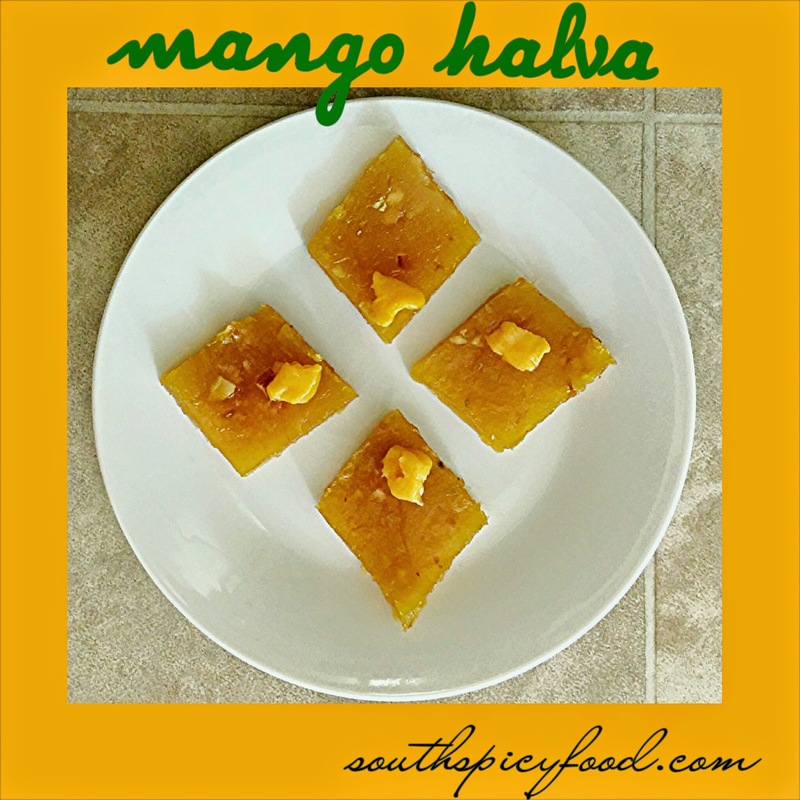 Put the mango pieces in a blender with crushed ice and sugar or honey and blend them to smooth consistency. Pour the mixture into bowl through a sieve.,if you don't want juice through a sieve you can leave it like that. serve the mango juice in transparent glasses. mangoes will also start.comming to recipe i love it.any with mango i just love it..Anything with Mango is delicious. Heat 1 tbsp of ghee in a heavy broad bottomed non stick pan or kadai and add mango pulp to it. Mix corn flour with 1/2 cup of water in a bowl, mix it with out any lumps. When mango pulp is heated up add corn flour mixture,sugar and mix it well.keep stirring till it comes to thickened. Stirring till it comes to thickened,this is a continuous process,it will take around 30 to 35 mins on a low to medium flame. Mean while add remaining ghee. Once it becomes thick and mixture leaves the pan and transparent, add cashew nuts, almonds, cardamom powder and mix it well. Grease the plate or tray and pour the mixture.Rest for 1 hour and cut into pieces. 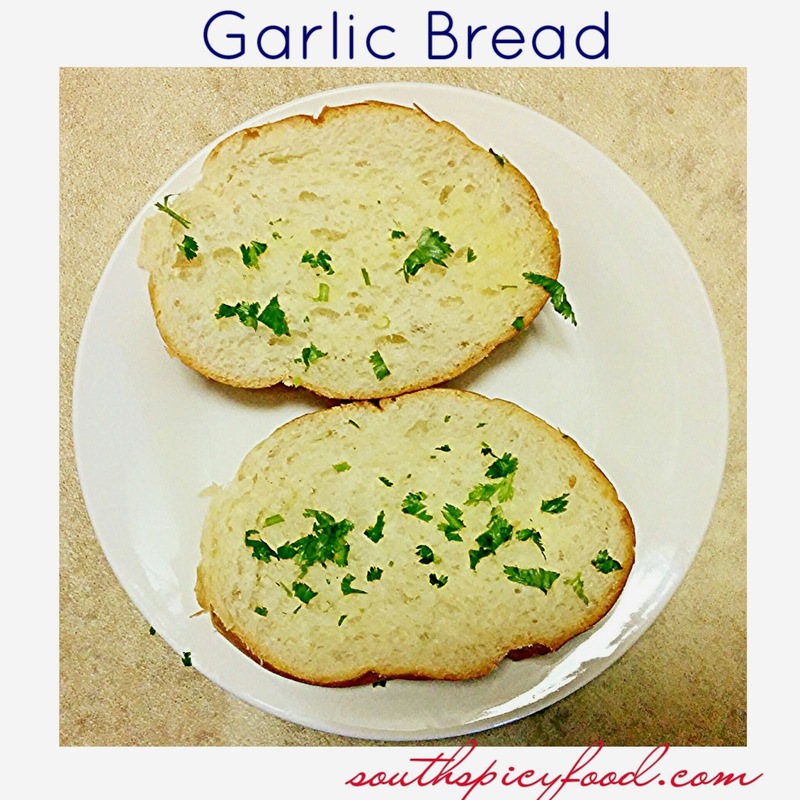 Garlic bread is a tasty side dish, enjoyed by children and adults and can be made using different kinds of bread. The traditional method uses a long, thin loaf of bread such as a baguette, French bread or a Italian bread . cut the bread into 1-inch-thick slices. In a small sauce pan on a low heat, melt butter and mix with garlic powder and dried parsley. Now with a brush apply this butter mix to the both side of the 1 inch thick bread slices. Place the bread slices in a toaster oven or conventional oven on a bake tray at 350ºF/180ºC. Bake or toast for about 10 minutes or until lightly brown. 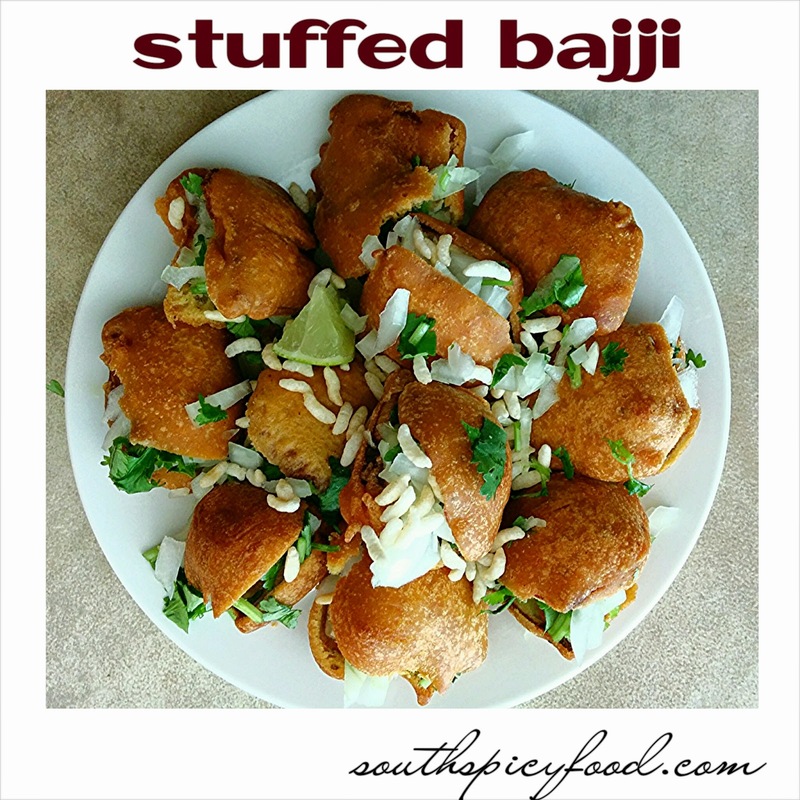 This is very Fast and easy to prepare .Stuffing plantain bajji or Aratikaya Bajji with Onion,cilantro, puffed rice and lemon gives a nice taste.Everyone going to loves this recipe.This snack goes nice with cold weather..
Now to this add enough water and make it as thin batter like as pan cake batter. Don’t make it too thin because it won’t stick to the banana slices. Heat the oil in a pan, maintain heat to medium flame.Now dip the plantain slices one by one into the batter, and then drop them slowly into the hot oil.Mean while turn the bajji's up and down to get cooked bajji fully both inside and out side and fry till they are golden brown.